Climber Jayde Julius claimed victory in the Lost City Cycle Classic at the Powerade Bestmed Lost City Cycling Festival in the North-West Province yesterday. The Bonitas rider put the hammer down with 3km left to lay the foundation for his victory in the 115km feature event in 2:37:38. Julius, who was making his race debut, outsprinted fastmen Tyler Day of Westvaal-BMC and teammate Herman Fouché, who had to settle for second and third respectively. The 20-year-old, who recently returned from racing in wind-swept Belgium, said the breezy conditions in the first of the spring classics had suited him ideally. Julius said he knew that that would be his last chance to attack, as the fast and flattish course traditionally came down to a decisive bunch sprint. Although he knew he had a good turn of speed from his early track racing days, Julius said he had surprised the opposition and even his own teammates by crossing the line first. As a GC rider, the Ruimsig resident said his original assignment for the day had simply been to attack and follow the moves. The major break of the day came when Day, Chris Jooste and Willie Smit went clear after 15km. They worked well together and were in the lead for 80km. “Without my team, I don’t think I could have pulled off this win today because so many moves followed,” said Julius. The win kicks off the second half of what has been a successful first season with Bonitas for the young pro. 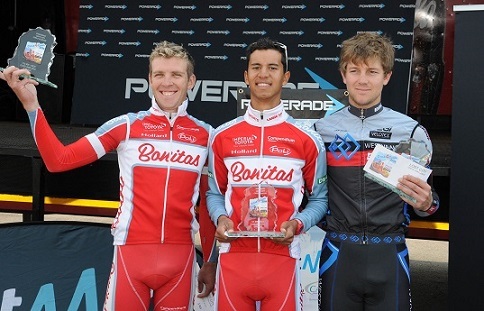 Julius started the year with a podium at The Herald VW Cycle Tour in Port Elizabeth and took the runner-up spot behind Dylan Girdlestone at the Grand Premi Odena in Spain in April. Last week, he stormed to third overall in the Lowveld Tour and also claimed the king of the mountains jersey. 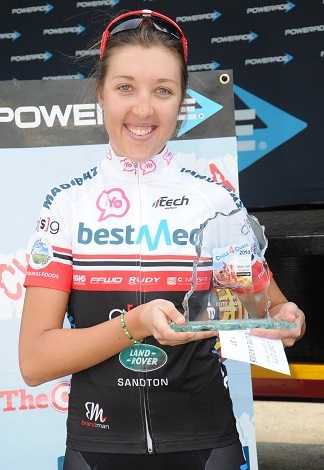 The women’s race was won by Bestmed-ASG’s Chané Jonker in 3:15:14. She finished a minute clear of Activate Drinks’ Mandy Human and third-placed An-Li Kachelhoffer. In the 50km mountain bike feature race on Sunday, Ian Pienaar claimed the laurels, while Anneke Hanekom triumphed in the women’s race. For more information, visit www.cansalostcity.co.za. Alternatively, find Lost City Cycle Festival on Facebook or follow @lostcitycycle. View the 115km Classic results here. View the 50km mountain bike event results here.